The Naples Bay Restoration and Water Quality Improvements at the Cove Project in Naples, Fla., has received the Envision Silver award for sustainable infrastructure, designated by the Institute for Sustainable Infrastructure (ISI). To reach Silver status, a project must demonstrate that it delivers a heightened range of environmental, social, and economic benefits to the host and affected communities. Naples Bay and its contributing watershed have been dramatically altered by development over time. Associated with various water management projects, the watershed of Naples Bay has expanded from approximately 10 sq miles in size to its current 160 sq miles. The city identified the need to investigate the ecological and environmental conditions at the Cove Pump Station outfall. Analysis of the existing conditions at the outfall identified significant sediment transport, a low functioning ecosystem, and impaired hydraulic conditions arising from the operation of the Cove Pump Station that serves Basin III (otherwise known as Naples Bay). The project team performed an in-depth analysis of storm water Basin III, undertook city-wide planning initiatives and historical storm water improvements to guide the design through conceptual and preliminary design stages for final City Council approval. 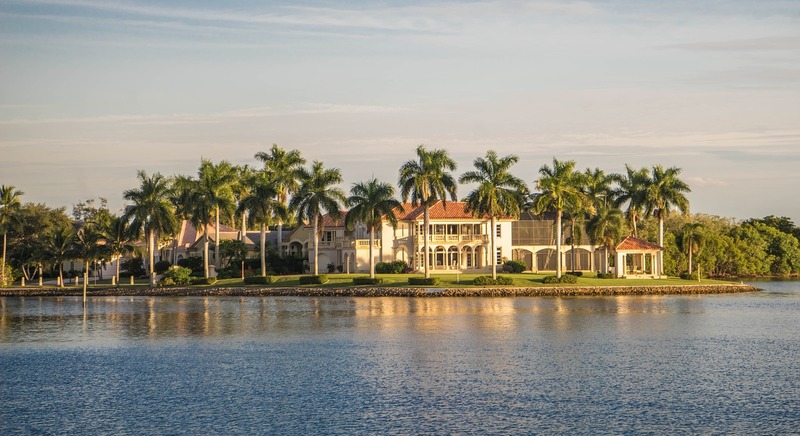 The project supports the 20-Year Naples Bay Restoration plan by incorporating water quality improvements with natural wetland restoration in the form of a living shoreline concept. The city of Naples worked in close collaboration with Stantec to deliver this award-winning sustainable project. Key factors contributing to the Naples Bay Restoration and Water Quality Improvements at the Cove earning Envision Silver include restoring habitat and preserving species biodiversity. There are three key components associated with this project, each of which will dramatically improve existing conditions at the site which are currently not conducive to supporting a range of endemic species. Component one consists of dredging and fortifying. Specifically, the project will remove 3,000 tons of marine sediments of which 500 are contaminated, more than 15 lb of copper, and more than 3 lb of Polycyclic Aromatic Hydrocarbons (a class of chemicals that occur naturally in coal, crude oil and gasoline). It also consists of a reinforced channel that reduces the velocity of water entering the cove, prevents erosion and allows solids to settle. Component two consists of a living shoreline, a shoreline management practice that provides erosion control benefits, enhances shoreline habitat and maintains natural coastal processes by placing materials such as plants, stone, sand fill, and other organic materials such as oyster reefs in the water along the shoreline. Component three consists of an upstream pollution control structure that will remove more than 2,500 lb of grit per year. Living shorelines are able to improve water quality through increased nutrient uptake, restore and create new estuarine habitat, create new connections between existing and new habitats, and yield economic benefits to the community. In the case of the Naples Bay Restoration and Water Quality Improvements at the Cove Project, annual economic benefits associated with the addition of oyster and mangrove habitats are estimated to be $41,700.